The elevators absolutely need some love!! They are 110 years old. That’s a lot of sun, wind, snow, rain and hail! BNSF began preparing for demolition of the iconic Hobson elevators in March, 2018 following safety concern reports. 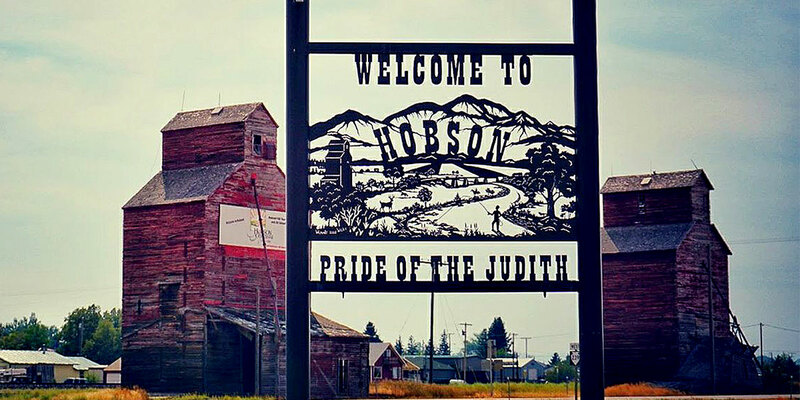 Discussion with BNSF found several discrepancies, the largest being that the Hobson community did NOT want them destroyed. BNSF granted a six month stay of demolition (until the first of September) for a solid plan to be in place to restore the structures to code and enter a BNSF property lease. IS IT REALLY FEASIBLE TO KEEP THEM STANDING? The elevators are sound! The structural engineer’s report states that the foundations and bones of the elevators themselves are in great shape. As can be easily witnessed, they need some clean-up and support of their outer structures, siding improvements, paint, and new roofs. The elevators will be “sealed” to prevent entrance by beast (two and four legged). They will be landmarks only, no commerce, grain storage, or other activity will occur there. This work along with the repairs will allow the necessary insurance to be obtained, satisfying the BNSF lease requirements. With this love to make them healthy, they should be able to stand another 100 years! “That would be sad if those are torn down. How will we ever find our way home? These giant tributes to our history are disappearing all over. Saddens me that so much in our world is just disposable. Nooo! It’s not home without them! 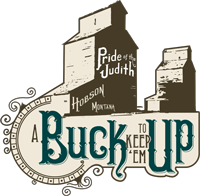 That’s tragic, they are such a great Central Montana Landmark! An estimate has been compiled based on the requirements of the structural engineer’s report. Costs for repairs, supplies and labor will be $30,000. Returning Hobson’s landmark elevators to health and beauty is absolutely attainable! Estimated annual fees (BNSF Lease, Insurance, Taxes) will be $2,500. Ideas are brewing on how to cover this cost each year, if you’re curious or interested, talk to Gerri. The west elevator is currently owned by the Ward family, the east elevator by Dan and Linda Deegan. Both families want them to remain and are willing to reassign ownership to make that happen. Due to increased cost in separate BNSF leases and insurance, the elevator leases have not been maintained for several years.